In the midst of establishing a top secret nuclear Navy base on the ocean floor, a crew of explorers inadvertently disturb a terrifying alien life form. By “alien” they mean “undiscovered and ancient underwater critter”. Their plans to deploy the missiles are permanently delayed, but a few more accidents, and the creature attacking them forces the crew to go to extreme measures to escape and survive. This is one of those films that follow the trend, and this and Leviathan are very close in terms of story. Think Alien set underwater, with a monster that isn’t nearly as effective or creepy, and comes off as your horror park monster instead of something we’d actually find underwater. The characters are mostly all likeable which saves a lot of the film. It’s pretty standard if you’ve seen Deep Blue Sea, Leviathan, or even The Abyss. While a few of the actors in this stand out as I’ve seen them in other films, the one that works for me is Miguel Ferrer, who I really know from the original Robocop, a small shot in Star Trek III, and The Stand, amongst others. He’s not the best in this, and it all feels very B-movie throughout, but his character ends up stealing a number of scenes he’s in. Matt McCoy would be another one that’s been in a lot of films who does a good job with his role. Everyone else is just kind of there, but manage to bring a bit of fun to their roles, except for those who are entirely too serious. This isn’t going to win awards for acting but none of the actors made me want to bury my head in a box either. Sean S. Cunningham is doing what he does best, and that’s make a by-the-numbers horror flick. Sure, there are special effects involved, and this is more sci-fi than Friday the 13th was, but this has a lot of the same pacing as the first Friday the 13th. 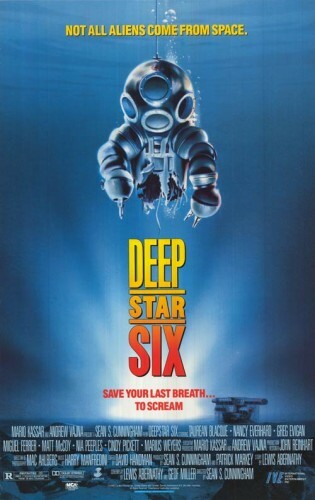 The only real issue with DeepStar Six is that the tension that should be there, isn’t, and the build-up at the end is not satisfying. My other complaint is the model work. Aside from a few shots, and the fact that water comes pouring in, this could take place in outer space instead of the bottom of the ocean. It’s just way too clean, with no water bubbling for most of the scenes. It’s a minor problem. I’ve watched this a few times now within the last year, and I’m still very meh on it. I liked it more as a kid, but there’s a reason I’ll watch Leviathan over this film pretty much every time. There’s just no real suspense and the shots that work in a slasher flick don’t work to build tension here because it’s a giant sea creature and we’re supposed to believe it’s just hiding in less than four feet of water. There’s a lot that doesn’t work, despite me liking a lot of what they were trying to do. It’s just not scary, and it’s really predictable. I’ll probably watch this again at some point because I forget my mediocre experiences with films. 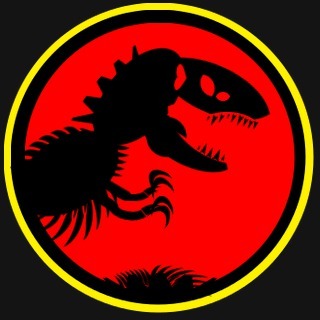 It’s not unwatchable, but it’s just not what I’d consider a great film. While not the best underwater critter film out there, there are a few things DeepStar Six has going for it with some decent actors, mostly solid effects, and a few good one-liners. The build-up and suspense that you should have, though, is just non-existent throughout a lot of this, and the companion film released the same year, Leviathan, did it better.